Secure Group, a worldwide leader of encrypted communication services, released today the 1.1.03 version of the no longer to be called License Administration System. 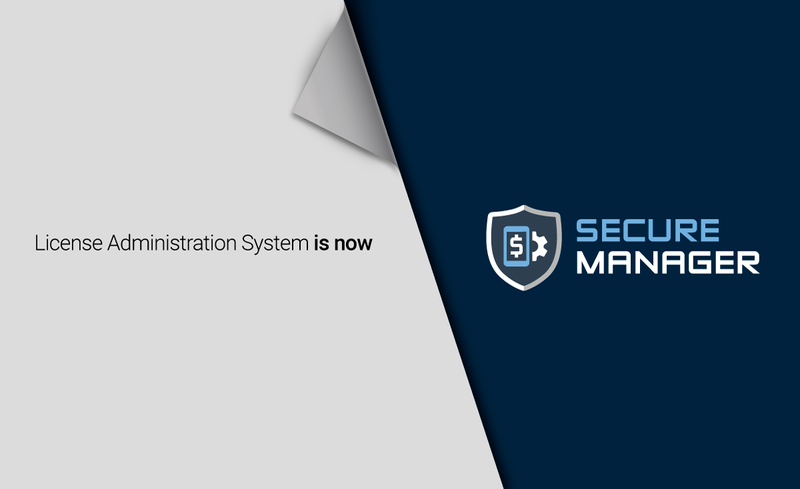 The Billing and subscription backend component underwent a brand change and is now called “Secure Manager.” The License Administration System name is already dismissed from use, including its abbreviation (LAS). Secure Group’s official name for the administration web portal reflects the company's naming conventions. 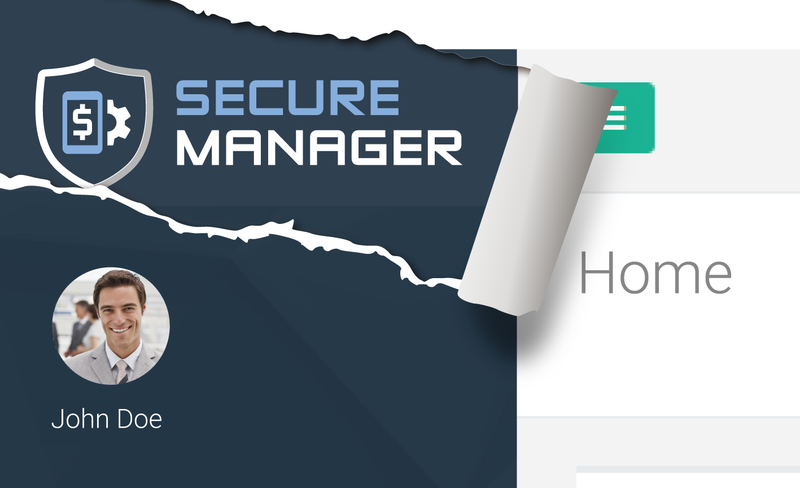 This rename is not the only feature with this release: Secure Group put a special touch of security and performance improvements to boost the user experience. Our License Administration System (LAS) – the platform which our clients use to manage their subscriptions, invoices and services remotely – will be renamed to Secure Manager, as of next week. This is just a change of name, the system’s functionality will stay the same. Stay tuned for more info. 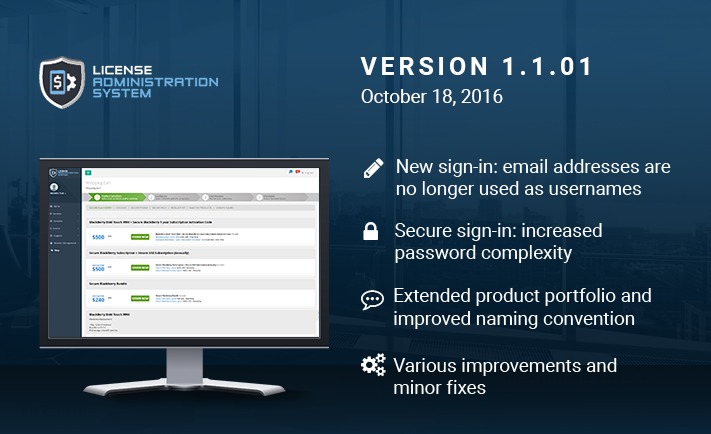 Secure Group, the leading provider of protected online communication services, released today the 1.1.02 version of the License Administration System. The new features with the service administration and billing system are mainly focused on the internal organization of products and services. As part of this release, LAS now logs and keeps track of Secure BlackBerry subscriptions created using activation codes as purchased from the official website of Secure Group. Secure Group, the leading provider of encrypted communications, released the new 1.1.01 version of their Billing Administration panel, dubbed the License Administration System (or LAS for short). LAS is a complete web-based administration portal which allows distributors to manage the subscriptions of their users, and manage the payments associated with each. The new version includes a major redesign of sign-in logic; and increased complexity requirements for passwords. The product line has been updated and there are also several mid- and low-impact improvements added to the system as part of this release. Secure Group, the leading provider of safe encrypted communications, announced the new major release of their Billing Administration panel, also known as the License Administration System (LAS). 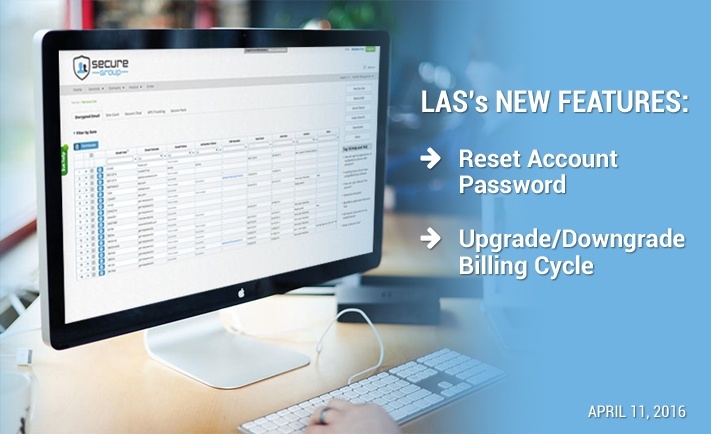 LAS is a web-based administration panel which allows resellers to manage the subscriptions of their users; and manage the subscription cycles of each. 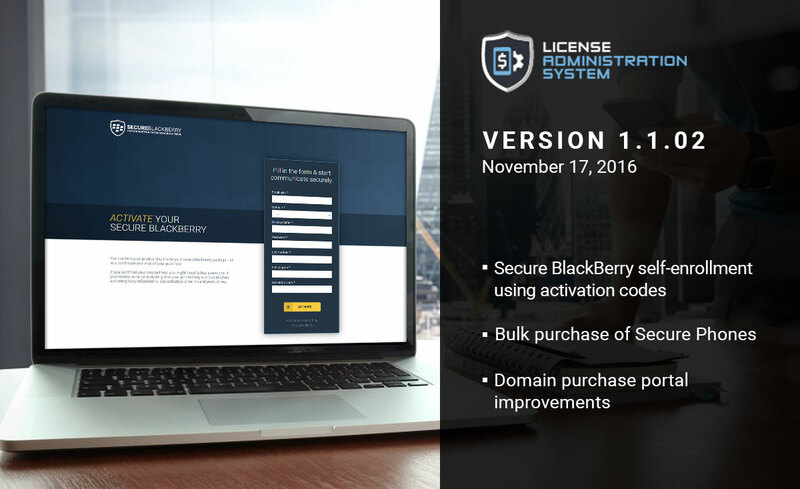 The new version is characterized with a complete new look & feel, clarifications in naming conventions; and necessary adjustments in the handling of Secure BlackBerry subscriptions; and loads of information added across the different LAS screens. 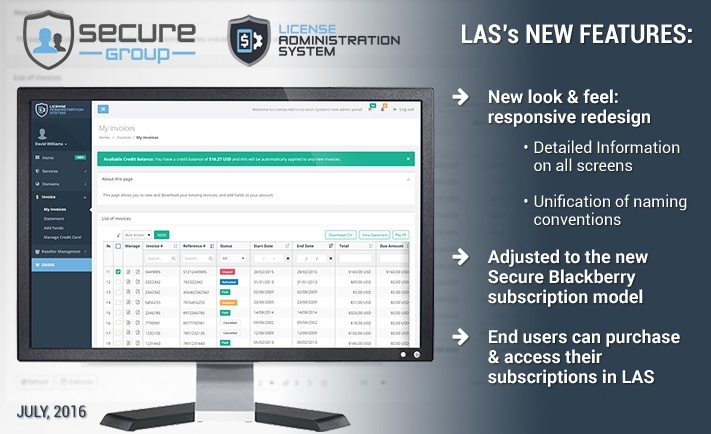 Secure Group releases a new version of the Billing/Administration panel, also known as License Administration System (LAS). The new features provide improvements to the processes of end user enrollment and subscription management, as explained in the following paragraphs.